Guided over the years by its leadership committee, fpe grew and trained new evangelists. 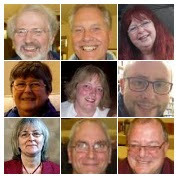 From the original group of two dozen people, it has grown to be a flourishing fellowship. 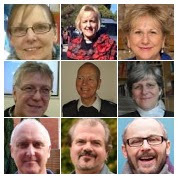 The fellowship for parish evangelism is a network embracing the full range of evangelical Anglicans committed to the centrality of the gospel of Jesus Christ and the priority of evangelism. fpe provides and encourages fellowship and mutual support for those involved in the ministry of evangelism. fpe envisions, equips and encourages one another in this ministry. fpe is a catalyst for the exchange of ideas and strategies. We are passionate about bringing the evangelist into the heart of parish life. which is the gospel and our calling to share it with the people of our country. Everything else is an unhelpful sidetrack - so thank God for fpe!"